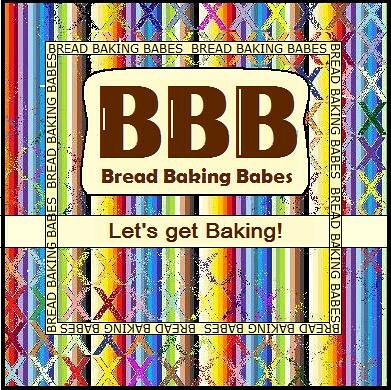 Yay our Kitchen of the Month chose one of my first loves in bread baking! Anadama bread, as sweet and sturdy as the story explaining the name. Anadama bread is an old time bread, baked at least since 1850, particularly popular in New England, USA. This recipe is from the March 2015 Bon Appetit magazine. No one really knows how this bread got its name. Wikipedia says, "An apocryphal story told about the origin of the bread goes like this: Every day a local worker would find cornmeal mush in his tin lunch pail, despite asking his wife for an occasional piece of bread. One day, because of weather or other circumstances, he came home just prior to lunch time. His wife, Anna, was out. He sat down and opened his lunch box to find the usual cornmeal mush. He sighed and said, "Anna, damn her," as he resolutely reached for the flour, molasses and yeast which he added to the cornmeal mush. His resulting bread became a local favourite." King Arthur Flour has this explanation: "There are many versions of how this bread came into being. They're all similar, but each varies slightly. The general consensus is that a New England woman named Anna provoked her husband — some say through laziness, others say from baking the same bread daily, or for not finishing her bread-baking. The husband either threw a bag of cornmeal at her and missed, but spilled it into the dough; or he grabbed cornmeal instead of flour and tried to finish her bread. He muttered, "Anna, damn her!" So you can freely swear while making this bread (it's tradition, right? ), have some wine while it rises and rises again...and again and enjoy it as the weather grows ever colder. Although the weather in the Netherlands is unseasonally warm (14 degrees today!) the smell of this bread baking makes it all better. 2 cups all-purpose flour, plus more for kneading, etc. Place yeast in a medium bowl or the bowl of a stand mixer. Add 1 cup warm water; stir to dissolve the yeast. Add the cornmeal, molasses, help seeds, nigella seeds, golden and brown flax seeds, poppy seeds and salt. Stir to combine using a wooden spoon. Continue stirring with the wooden spoon or use the dough hook if using the stand mixer. Add 2 cups of flour and 2 tablespoons of butter and mix until no dry spots remain. Turn the dough out onto a lightly floured surface and knead until the dough is smooth and elastic, 10-15 minutes OR mix in stand mixer on medium speed 8-10 minutes. Lightly butter a medium bowl. Transfer dough to bowl and turn to coat. (Elizabeth might skip the butter part.) Cover with plastic wrap or shower cap and let rise in warm, draft-free spot until almost doubled in size, about 1 hour. Turn dough out onto a lightly floured surface and pat into and 8' x 4' rectangle. Starting at the short side furthest from you, roll up dough, pinching the seam as you go to create a tight roll. Pinch seam to close and tuck ends under, pinching to seal. Place seam side down in the prepared loaf pan. Cover with plastic and let dough rise. Uncover before it crests the top of the pan and wait for it to spring back slightly when pressed, about 1 hour. Brush top of dough with egg. Bake, rotating halfway through, until bread is baked through and the top is a deep golden brown, 45-50 minutes. Let cool slightly in the pan on a wire rack before turning out. Let cool on the rack before slicing (if you can wait that long). Serve with salted butter. Bread can be made 5 days ahead. Store tightly wrapped at room temperature. - Then I used a active yeast I brought back from our holiday in Scotland. Not sure if this works the way I like it. This is my second try baking with it and this time again there was not as much rise as I would expect. Is it me or the yeast? - The smell of this bread is absolutely amazing!! Love the wonderful mix of flours! I think it is the bread, not the yeast. This bread seems to be a dense one, maybe because of the weight of all those seeds.Love the deeply colored crust of your bread. Your bread looks wonderful Karen! Love your flour combination. As for the Scottish active dry yeast, it's possible that it is on its way out. What is the due date? AND did you rehydrate it with body-temperature water? I use active dry yeast all the time and have found that it is much more likely to go crazy when the water is just a little warmer than body temperature (around 37C or 38C). Recently, I've also found that it's better if I rehydrate the yeast just before adding it to the flour (ie: I add it last). But if I have any doubts at all about the yeast being a little sluggish and old, I rehydrate it with a little bit of flour in the water and wait until I see it blooming before adding it. Great flour combinations Karen! I was wondering how rye would do in this bread. This bread has such potential. Wonderfully dark.... I'm thinking strong ham, smelly cheese and red wine, or venison stew. Or both. Wonderful loaf with so many flours! I once had some of that active yeast, I reminded me of the yeast my mother used when she baked her bricks... uh I mean breads. I never got friends with the active yeast stuff, though it smells lovely yeasty, not like the dried instant stuff. Oh Lien! So glad you have the same experience, so it isnt me it's just the yeast. I baked another batch of loaves the other day with the same brick like results. So strange! And yes the way the active dry smells makes you think it will be all right because it does smell so "real" contrary to the instant stuff. Okay so that's it, the remainder is going to be binned! Oh holey cats Karen, you went totally wild with flour! and still got a lighter loaf than I did. Still I really loved this bread. The active yeast experience sounds odd. I used the instant and I think my loaf was more brick like than yours.